Getting both the Citi Prestige® Card and Citi ThankYou® Premier Card offers about $2,600 in free American Airlines flights. This isn’t a deal that should just get some ink. This is one that should be shouted from the roof top. Get the Citi Prestige® Card and Citi ThankYou® Premier Card eight days apart with a 50,000 and 40,000 point bonus respectively. Combine the two ThankYou accounts into one, and meet their minimum spending requirements. Spend the 96,000+ points you have on about $1,500 in American Airlines flights. Use the Citi Prestige® Card‘s $250 Air Travel Credit in 2015 and in 2016 for $500 in American Airlines flights. Use the 25,000+ American Airlines miles you’ve earned from flying $2,000 in paid flights for an award ticket worth $600. That’s $2,200 worth of American Airlines flights from opening two credit cards and using their benefits. This is the kind of deal you should be telling your friends about who are jealous of your free travel and want a fast start in this hobby. As an added bonus, you can visit American Airlines lounges for free during all these trips, and you can earn American Airlines Gold Status. 1. Get the Citi Prestige® Card and Citi ThankYou® Premier Card eight days apart. You can have both cards at once–I have them both right now–but you cannot be approved for two Citi cards on the same day. Once you get the Citi Prestige® Card, wait 8+ days before applying for the Citi ThankYou® Premier Card. 2. Combine the two ThankYou accounts into one, and meet their minimum spending requirements. Getting both cards will automatically open two separate ThankYou accounts. Points earned on the Prestige are more valuable for American Airlines flights than those earned on the Premier, so you’ll want to spend the five minutes to combine the two accounts into one account that has the redemption power of Prestige. Here’s how. That way when you’ve spent $3,000 in the first three months after opening the account on each card, your 96,000+ points will be in one ThankYou account where they are worth 1.6 cents each toward American Airlines flights. 3. Spend the 96,000+ points you have on about $1,500 in American Airlines flights. To spend ThankYou Points, select Flights under Shop on thankyou.com. ThankYou Points are worth the same 1.6 cents toward any American Airlines flight with no blackouts, so learning how to find cheap flights is an essential skill in order to stretch your points. If you have flexible dates and want to book now, learn how to search ITA Matrix to find the cheapest fares. If you have fixed dates, learn how to use Kayak Price Alerts to track airfare and buy when the price drops. I searched for roundtrips to Los Angeles and San Francisco from New York on ITA Matrix and found them for just under $400 for much of the year. I could recreate the same price on thankyou.com’s search easily. The 96,000 points are worth $1,516 in free American Airlines flights. When you no longer have enough points for a free redemption, you can do partial points + cash redemptions with any amount of points and still get the full 1.6 cents of value per point. American Airlines will see tickets purchased with ThankYou Points as cash tickets and award you miles and status based on the distance flown. 4. 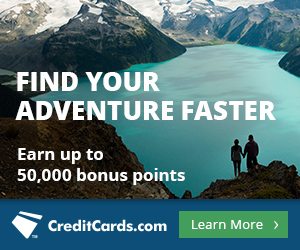 Use the Citi Prestige® Card‘s $250 Air Travel Credit in 2015 and in 2016 for $500 in American Airlines flights. The Citi Prestige® Card offers an unrivaled $250 Air Travel Credit each calendar year. The credit will offset the first $250 you spend on airfare, airline fees, award taxes, and pretty much anything else that codes as a purchase from an airline each calendar year. In 2015, use the $250 as the cash part of a cash + points redemption of ThankYou Points (pictured above) for American Airlines flights. In 2016, before your next annual fee, do the same. That’s another $500 worth of American Airlines flights. American Airlines will see tickets purchased with the Air Travel Credit as cash tickets and award you miles and status based on the distance flown. In the last two steps, with almost $2,200 worth of American Airlines tickets purchased, you will likely earn 25,000+ redeemable miles. For instance, $2,200 is easily enough for five roundtrips between New York and California, which are about 5,000 miles each. 5. Use the 25,000+ American Airlines miles you’ve earned from flying $2,000 in paid flights for an award ticket worth $600. The final step is to redeem those 25,000+ American Airlines miles for more free flights. You have enough for one domestic roundtrip or one way in Business Class (or two-cabin First Class) within the continental United States. Or you have enough for one way to Europe, Southern South America, Japan, or Korea at off peak prices. Of those options, I think the most fun redemption would be using the 25,000 miles for one flat bed Business Class flight between New York and Los Angeles or San Francisco. These seats cost about $600 with advance purchase, which is frankly cheaper than I was expecting. Or you can book them for 25,000 American Airlines miles + $5.60. That’s ~$2,800 in American Airlines flights from opening two credit cards and using them well. If you fly the approximately $2,200 in free flights that American Airlines sees as paid flights in the same calendar year, you may fly 25,000+ miles, which would earn you American Airlines Gold Status. You’d get benefits like upgrades, better seats, priority boarding, and a higher mileage earning rate on future American Airlines flights. The Citi Prestige® Card offers American Airlines lounge access every time you fly American Airlines or US Airways, which would mean that every flight in this article would come with American Airlines lounge access. The comfortable place to relax, free drinks, free snacks, and free wifi will make the trips much less stressful. My review of the Citi Prestige Card which explains its many benefits like $250 in airfare or airline fee credits per calendar year, access to the American Airlines Admirals Clubs and Priority Pass lounges, 3x points per dollar on air travel and hotels, and a $450 annual fee. I just have to say: I am impressed. I know pretty much all the bloggers out there are selling pushing these cards hard, but this is far and away the best article which I’ve read that explains how to juice maximum value out of these offerings. And all done in a clear, concise manner. You just picked up another regular reader. Thank you for your contributions to this hobby! When does the 90-day spending clock start? When you receive the card, or when you activate it? I’m only ~5wk into clearing 2 other “50K for $3K” bonuses, and I’m not sure I could manufacture $12K total spending in only 4 statement cycles. Anyone ever tried applying for an impractical # of cards at once, then sitting on some of them for awhile before kicking off their signup bonus? Call the number and ask the agent the exact day your spending period ends. Usually it’s actually like 105 days from account opening to give you more than 90 days from the time you activate. Can you also add the Citi ThankYou Preferred card to these two for an extra 20k TY points? If so, are three Citi cards spaced out in 93 days ok? No 2 Citi cards in one week. No 3 Citi cards in 60 days. So getting Premier, Prestige, and Preferred on days 1, 9, and 66 is fine. 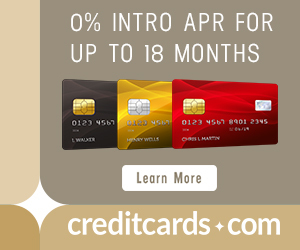 If I’ve applied for another Citi product on April 25th, could I now apply for one of the above cards or do I need to wait 65 days as with some of Citi’s other cards? I guess my question can be stated as how should I go about obtaining the Prestige while still having the Executive open? I need leverage of course, so I’m thinking I should apply first, then cancel the Executive during the reconsideration call and transfer the balance into the Prestige… Any thoughts are appreciated!… Thanks in advance! No reason you won’t be instantly approved for Prestige. If you aren’t you can start those negotiations. My advice: just apply for the Prestige and cross other bridges when/if you get to them. Thanks Scott!… I’ve become a loyal follower, your value added propositions stand clearly out from the crowd… somehow you’re able to “juice” the deals a little bit more than your other colleagues out there… Thank you for sharing those valuable insights! Thanks, Al! I like to see people appreciate my work. Thanks for your great post! After you’ve outlined such great benefits I’ll be using your link to apply. Thanks for all your hard work!! Already have the Premier but have been thinking about the Prestige. Also we’ll be booking lodging for safari near Victoria Falls in September, would the 4th night free benefit also apply to safari lodging packages (Where they include various activities like game drives etc. with the cost)? I don’t know. If the lodging is bookable by travel agents probably. You almost certainly wouldn’t get a 25% discount on the activities. Unfortunately a list of participating hotels is nowhere online. Great article!!! How long are these promotions going to last. We will have a large bill in around 3 months, but I don’t want to cut it too close with the 90 days. Maybe some ideas on how to manufacture spending now that the Red Card is a bust? I would need to manufacture $12,000 as both myself and my wife plan to apply. Ideas? Thank you!!! No idea how long they’ll last. I think this will be more or less the “permanent” ThankYou Premier offer, and Prestige will drop at some point in the coming weeks, but that is a PURE GUESS based only on their HISTORICAL SIGN UP BONUSES and not on inside info. Is the $450 annual fee waved the first year? That is an insane amount to charge annually! It is not waived. I think the $450 is blown away by the benefits in year 1. Even past year 1, for many people (those who value lounge access at $200 per year) will be happy to pay the $450. Hey Scott, did you end up determining whether Airbnb and / or Uber trigger triple points on either of these cards? Definitely not on the Prestige, which has airlines and hotels as a 3x category. The Premier does count Airbnb and Uber in the 3x category from my personal experience. It works with the Premier for my Airbnb stay in early August. Got 3x!